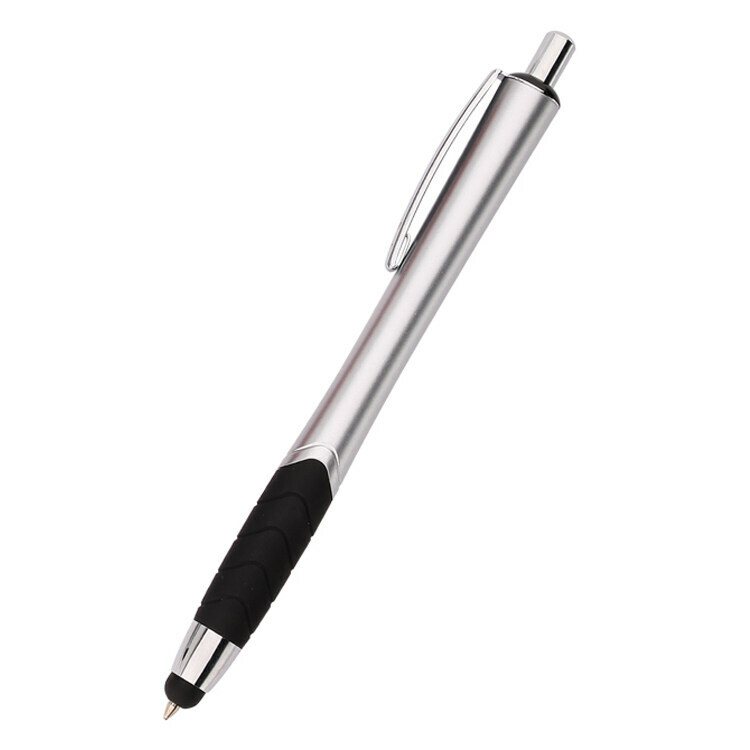 Click action reveals black refill pen through stylus. Comfortable black grip with wave design. 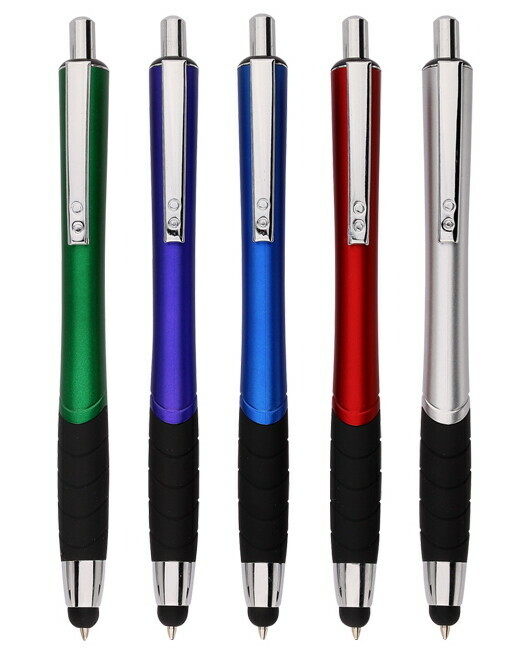 Capacitive stylus tip that works with iPad, iPhone, Android and other touchscreen devices. Metallic barrel with large imprint area. 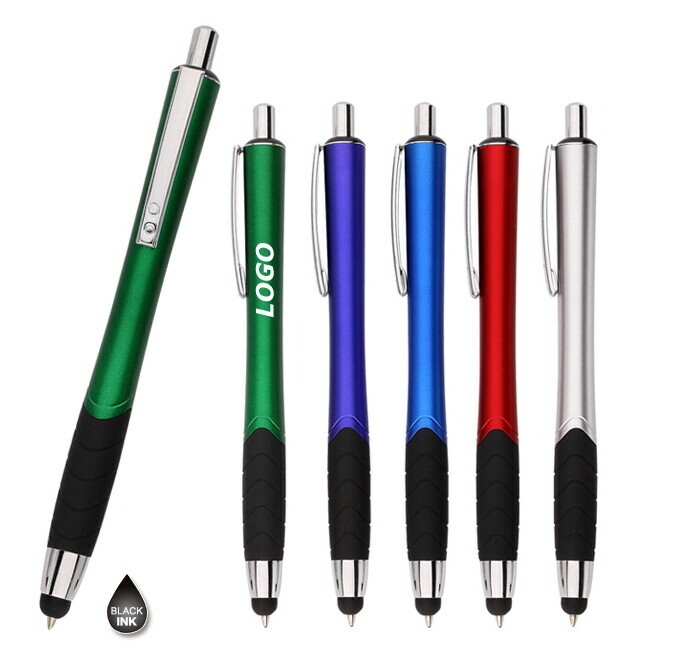 Chrome accents for sleek professional look. Shipping Weight: 1000 units at 25 lbs. 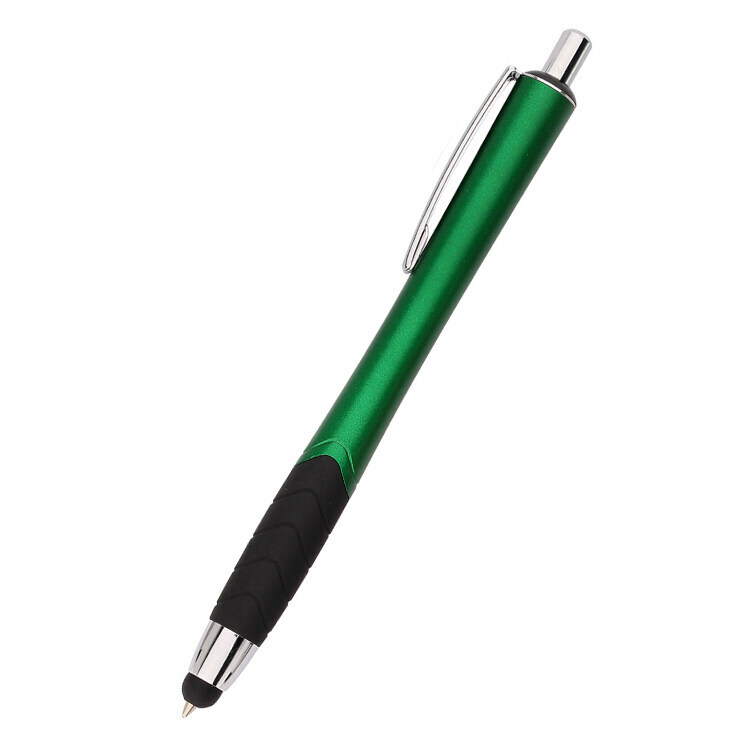 There's nothing noble about having to fumble around for the right writing utensil. Whether you're digging in the bottom of a backpack or shoving paper clips and sticky notes around the bottom of a drawer, it's always a little awkward, especially if you've been talking to someone and have had to interrupt the conversation by saying, "One moment, just let me find something to write that down with." To help you maintain a professional demeanor, JAVLEINPEN.COM offers the Noble Grip Pen and Stylus. The Noble Grip Pen and Stylus offers plenty of functionality at an affordable price. 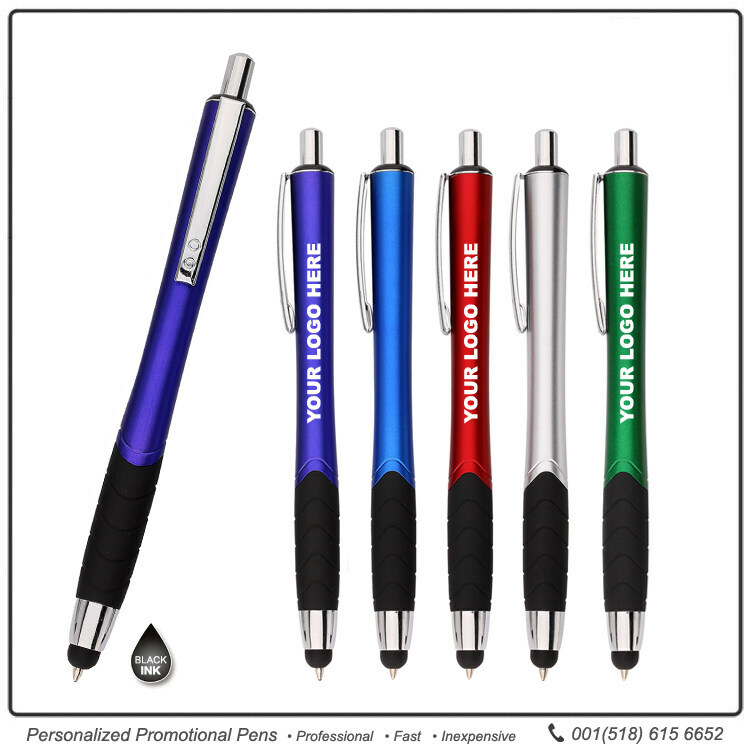 It makes an excellent giveaway for recruitment fairs, trade shows, and other public events. 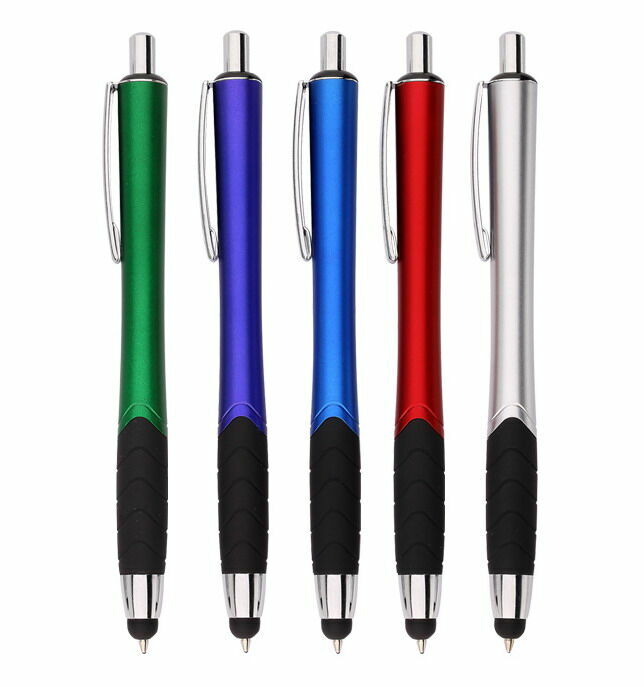 To order yours, call JAVLEINPEN.COM today ! I would highly recommend your company! Thank you. Outstanding value! very nice customer was extremely happy.